This is Ghost. 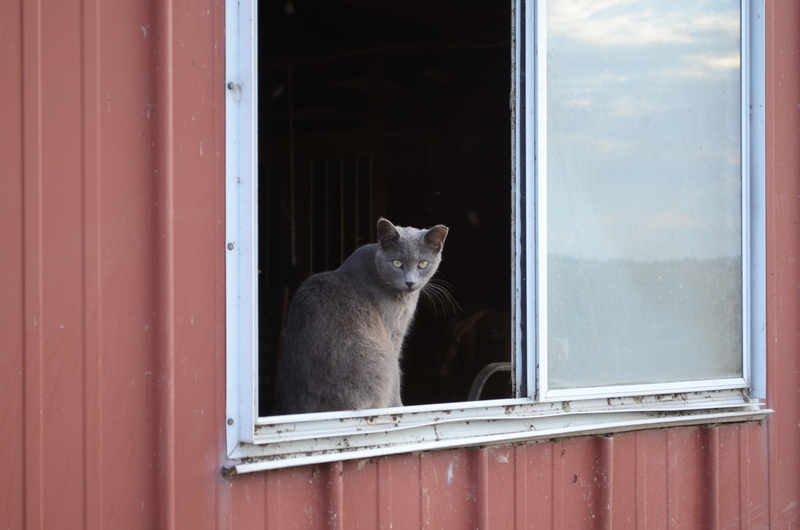 His name is fitting as he is the most stealthy cat on the farm. The farmhouse is well over a hundred years old and in need of some major repairs. There is a hole at the top of the house in which the cats are able to exit through and sun themselves on the roof. But, Ghost can scale the side of the house via overgrown shrubs and the house siding and actually climb up onto the roof and enter the house through the hole. He is also able to get off the roof and onto the ground with ease. He can enter and exit the house at his pleasure. I have seen other cats attempt this feat only to fall off the roof- with no cats being seriously hurt. Ghost has some serious skill. That’s nuts! That is some serious skill!